March 22 – FIFA has moved to prevent the use of artificial pitches at the 2023 Women’s World Cup after the 2015 tournament in Canada was marred by controversy over artificial turf. The new requirement was sent to the nations who haves expressed an interest in staging the 2023 tournament, according to the AP. 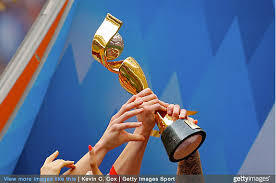 FIFA received a record interest from nine football federations, including a joint Korean one, to host the 2023 Women’s World Cup. Canada staged the 2015 edition of the tournament and it was the first World Cup for either men or women to be played on artificial turf. All of the tournament’s six venues had artificial turf or elements of it and players argued that the pitches carried a higher risk of injuries. More than 50 players filed a lawsuit against FIFA on the basis of gender discrimination, but the case, claiming that the world governing body would never allow the men’s World Cup to be played on ‘unsafe’ artificial turf, was later withdrawn. The requirement also extends to training grounds, demanding that there’d be at least one grass field at training complexes.